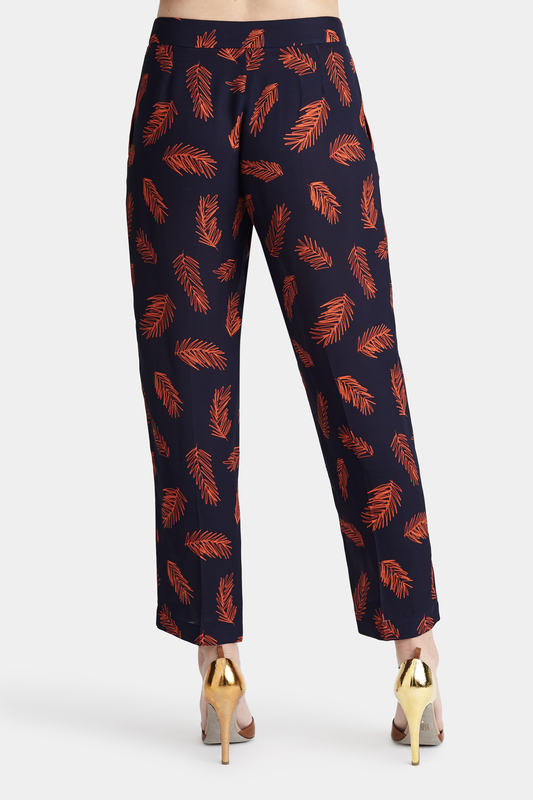 These classic straight-leg trousers with an original orange and navy print designed by Bozena add an extra touch of tailoring to any look. 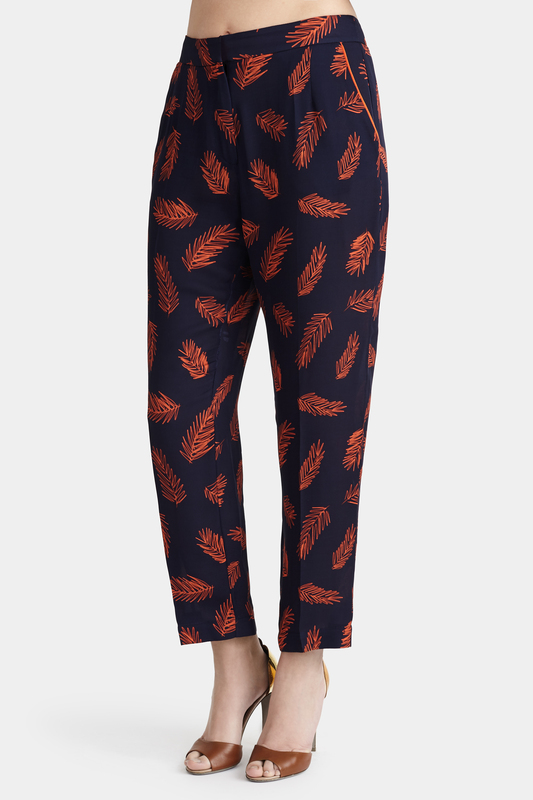 The print of the Manuka Trousers is inspired by the fine and delicate hairs on the bee’s body which when magnified, resemble tiny feathers. 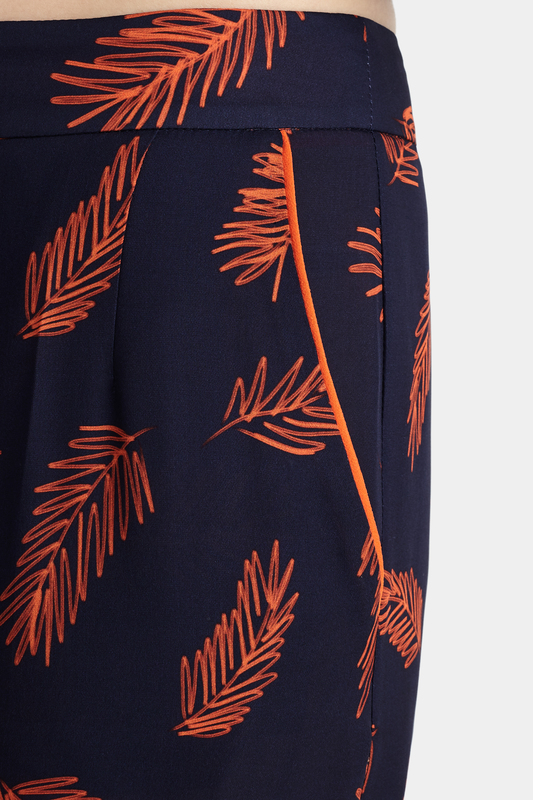 Crisp centre creases and orange piping pocket details add interest. Dress down with a classic t-shirt or up with the matching Manuka Jacket. -Double Silk Georgette -Original digital print -Button and concealed front zip fastening.